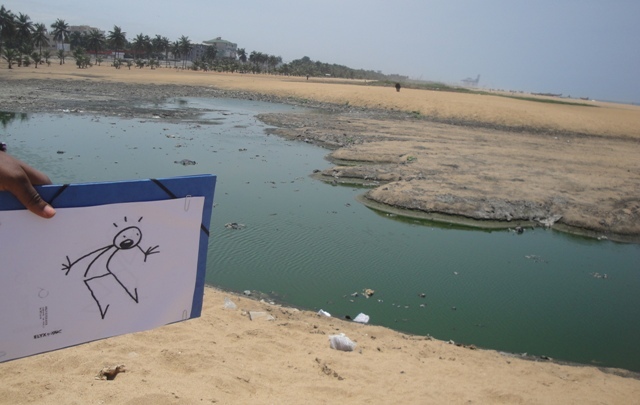 Elyx observes the pollution of beaches in Togo. were littered with trash. Thankfully the UNDP Environment Division is working closely with the government to clean the beaches and prevent further pollution. 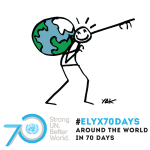 Elyx was also impressed to hear that Togo has banned plastic bags in an effort to protect the environment. 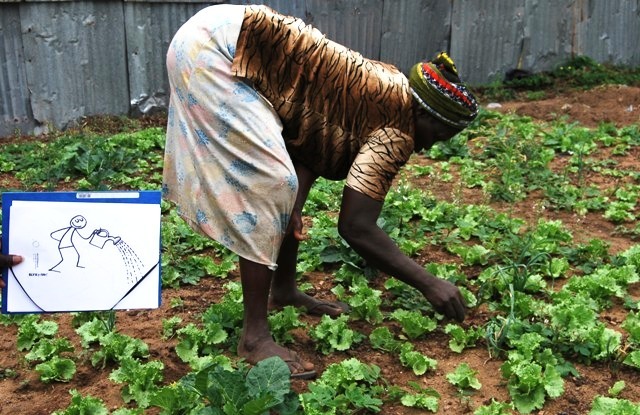 Elyx waters plants in a market garden in Togo. 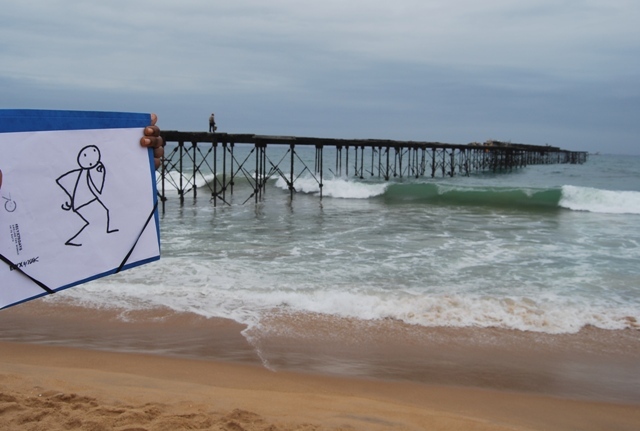 Leaving the beach, Elyx decided to take a bike trip to the border of Togo and Benin. On the way Elyx had time to water the plants in a small market garden near Anèho and even remind a passing motorcyclist on the importance of wearing a helmet. 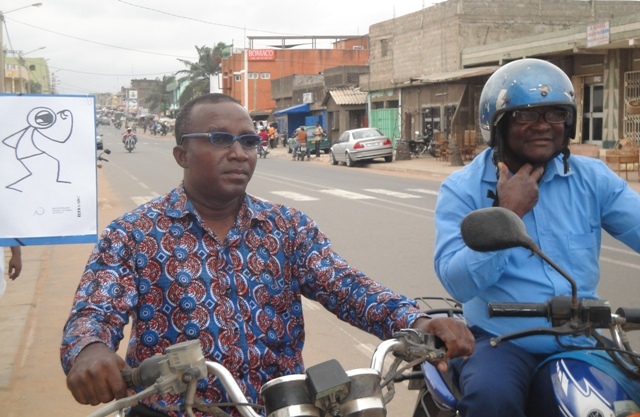 Elyx gives traffic safety advice in Togo. 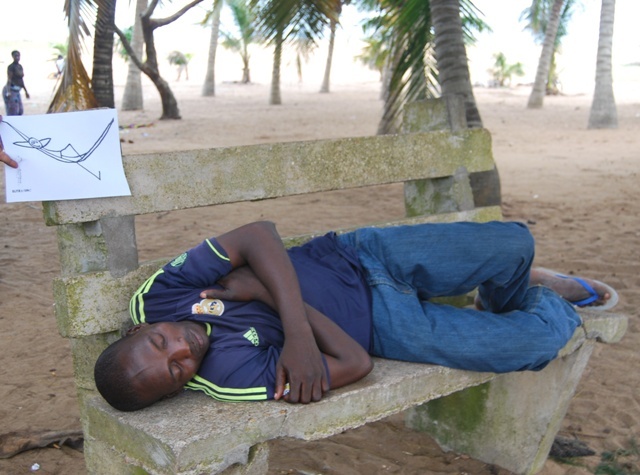 Exhausted from the bike trip, Elyx thought it was time to have a nap under a coconut tree. After all, it was important to gather up energy for the next destination: Japan!